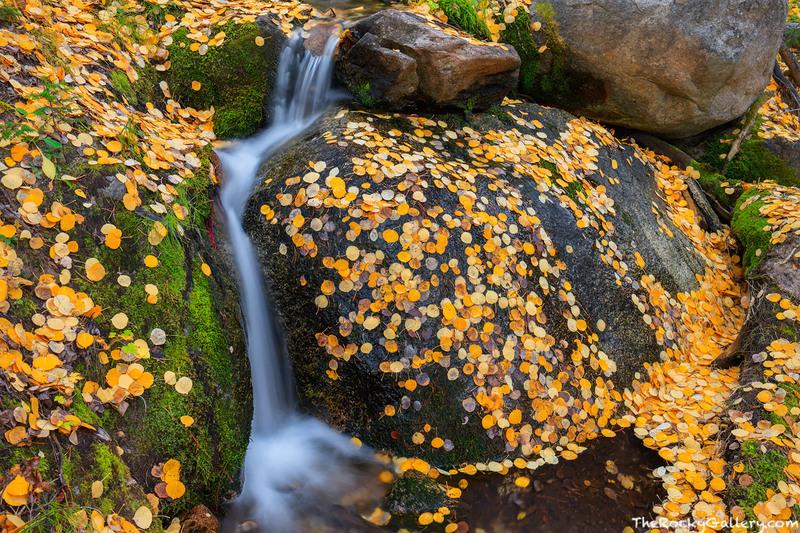 An offshoot of Boulder Brook traverses the mossy green boulders strewn along the mountainside in this classic Colorado autumn scene. Boulder Brook is lined with beautiful aspen trees which during the fall cover the forest floor with golden yellow leaves. Of all the locations in Rocky Mountain National Park to photograph the autumn colors, a hike along Boulder Brook has to be one of my favorites. Photo © copyright by Thomas Mangan.